Lost Guides - Bali & Islands highlights over 130 of the most delightful and special spots that I have discovered during my travels around Bali, Nusa Lembongan, Lombok, Gili Islands and the Komodo Islands over the last 4 years. I’ve personally visited each place and have included those restaurants that I always return to, boutique hotels where I tell my friends to stay, shops where I buy my favourite outfits from, or beaches where I like to spend afternoons reading a new novel. I’ve filled the book with my own original photography to give a true representation of each spot. I interviewed three fascinating people who have started creative ventures in Bali, so I hope you’ll enjoy reading their stories. 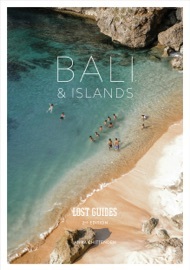 wtf this great lost-guides-bali-islands.pdf Kindles eBook for free!